One common reason for adding multiple Email Accounts to iMessage would be to separate personal Emails from Work related Emails by using separate Email Accounts for Work and Personal use. Apart from this, there are people who prefer having another common Email Account for social media use or to give it out to online shops, flyers and similar other reasons. 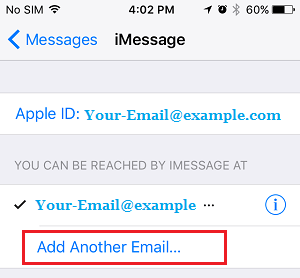 Whatever maybe the case, iMessage makes it really easy to add New or Multiple Email Addresses to your iMessage Account on iPhone. 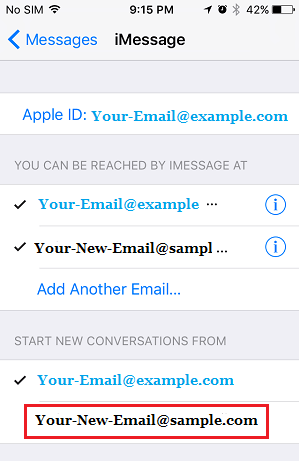 Also, you can designate any of your Email Accounts for sending iMessages from your iPhone. 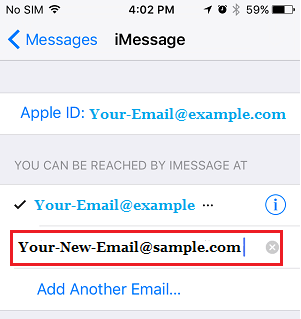 Follow the steps below to add New Email Address to your iMessage account on iPhone or iPad. 2. 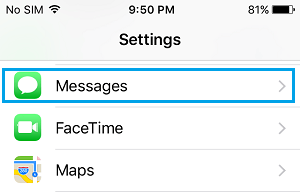 On the Settings screen, tap on Messages. 3. On the Messages screen, tap on Send & Receive. 4. On the next screen, tap on Add Another Email… link under “You can be reached by iMessage At” section. 5. 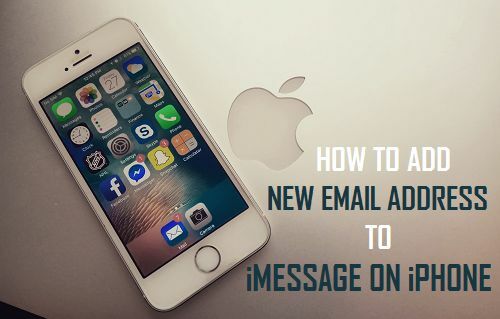 Next, type in the Email Address that you want to use for iMessage and tap on the Return key on the virtual keyboard of your iPhone. 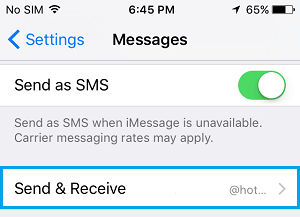 6. iMessage will send a Verification Message to your Email Account. 7. 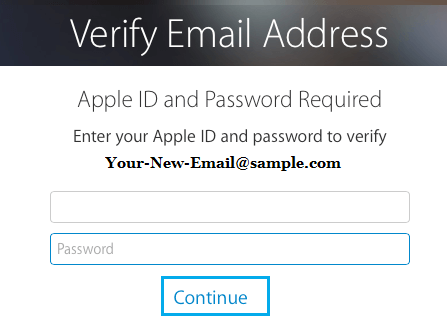 Go to the inbox of your Email and you will see a Message from Apple, asking you to verify your Account. Click on the blue Verify Now link (See image below). 8. Once you click on Verify Now link, you will be directed to a page where you will be asked to sign in with your Apple ID. Enter your Apple ID Password and click on Continue (See image below). 9. Next, you will see a message saying that your Account has been verified. 10. Now, go back to your iPhone and you will see a check mark against the New Email that you just added. The New Email will also appear below “Start New Conversations From” section (See image below). That will be it, you are now free to Add another Email Address to your iMessage Account on iPhone (in case you want to).